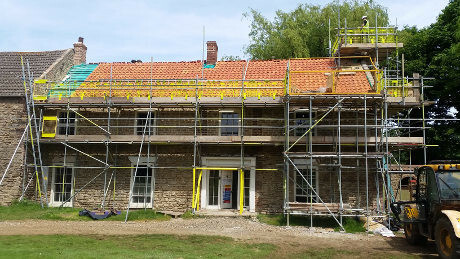 The work to the farmhouse (phase 1) - consists largely of a considered repair of the existing roof structure, renewal of the clay pan tiles and leadwork, remedial works to the chimneys, new conservation approved windows and doors which have been made bespoke, replacement of the whole ground floor construction including re-using and sourcing reclaimed Victorian floorboards, the project will look stunning on completion. 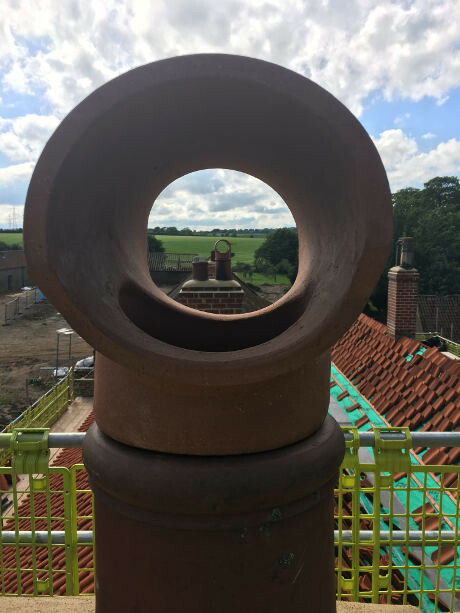 The Barn Development (Phase 2) – internally this will form an impressive kitchen and dining space, master bedroom suite sat aloft a new mezzanine floor and glazed galleried walkway linked through to the farmhouse. 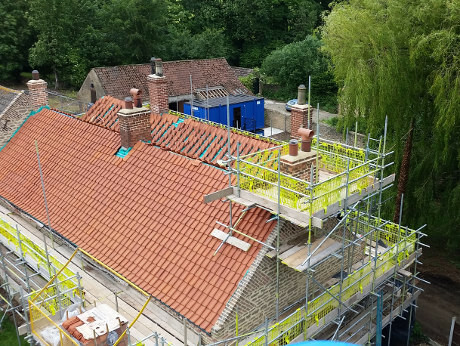 Externally a range of selective repair works and repointing works to the stone walls, new roof coverings and rainwater goods, formation of new window openings, new bespoke joinery, along with paved areas and gravel driveways will provide the client with the finest of homes, approx. value £750K.